Travel the World for Cheap – SkySurf.Travel – Explore the cheapest possible air ticket deals for any date at SkySurf.Travel. Explore the cheapest possible air ticket deals for any date at SkySurf.Travel. Congratulations to Romanna from Ukraine for Being Selected for the First SkySurf.Travel Travel Job! Catheryn Kocher on How to Travel the United States by Plane for Really Cheap. Fourteen States for Under $600. The deadline has passed for SkySurf.Travel’s first travel job and we have chosen a candidate. Congratulations to Romanna from Ukraine! She will receive $2,000 for traveling to eight or more cities around the world and documenting her adventure right here at this SkySurf.Travel blog, as well as her personal and SkySurf.Travel’s social media accounts. Romanna is now preparing her final multi-city itinerary using the SkySurf.Travel tool. Once she is done and all her flights are booked, we will post her travel route at this blog. Keep on the lookout. Her departure date will be some time before May 24, 2019. We at SkySurf.Travel would like to thank everyone for applying and considering this travel job at SkySurf.Travel. Our team was impressed and awed with the applications we have received. We may be posting a few more travel jobs like this one in the near future, so make sure to sign up to the SkySurf.Travel newsletter from the homepage to receive travel job updates to your e-mail inbox. Be sure to follow both Romanna’s and SkySurf.Travel’s Instagram profiles, as well as this blog to view photos, watch videos, and read about Romanna’s epic adventure around the world, using SkySurf.Travel! Posted on April 10, 2019 April 10, 2019 Tags first job skysurf travel, romanna skysurf travel adventure, skysurf adventure around world, skysurf travel jobLeave a comment on Congratulations to Romanna from Ukraine for Being Selected for the First SkySurf.Travel Travel Job! Europe is, perhaps, one of the best places in the world to embark on a solo travel adventure. Full of friendly people, great food and oozing with culture, it’s certainly short of very little. Traveling around Europe is relatively inexpensive and the traveling distance isn’t too wide. Most of Europe is very safe for solo travelers, but some cities are more ideal than others when it comes to accommodation and prices. Some destinations in and around Europe are easier to travel to when on your own thanks to the public transport links, political infrastructure and simply because the cost of living is lower in some countries. When it comes to looking for travel destination inspiration, there is often no one place which suits everyone. 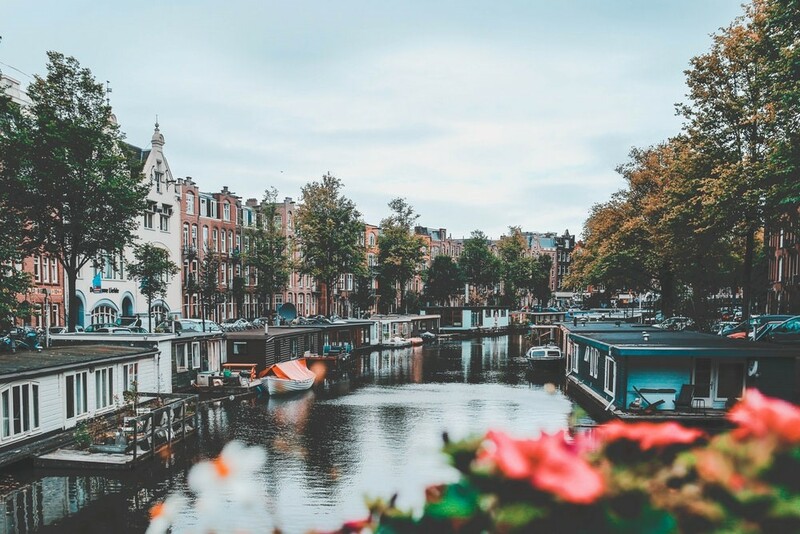 Whether you’re looking for parties and fun or easy transport links and beautiful surroundings, here are 5 destinations which everyone should add on to their bucket list. Dublin is often thought of as a “party” location. With a surplus of bars and pubs and a huge selection of live music venues, Dublin is as well known for its “craic” as it is for its history. But, the Irish are well known for making their towns and cities easy to find and access, especially if you are on your own. Whilst, Dublin does have a reputation of being a prime party and drinking destination, that isn’t necessarily how the Irish do it. It is a fairly easy city to access by foot, but public transport is also straightforward and reliable. There are many free walking tours across the city or visit one of the many tourist destinations dotted in and around the centre. Seville is the perfect destination for solo travelers who are on the search for a sunnier destination which is also mixed with culture and activities. Seville is a city full of history, particularly surrounding the bullring and bullfighting, which was popular here from the 18th century. There is also Seville’s Gothic Cathedral, which was believed to have begun building work in 1407, and is one of the largest in the world. After a day exploring the sights, be sure to head to a local restaurant for a few dishes of tapas and a glass or two of local wine and then head up to Las Setas, where you can watch the sunset fade over the city. Seville is a fascinating place and is perfect for solo travelers thanks to the friendly locals and ease of getting around. Iceland is a wonderfully stunning country and is the ultimate destination when it comes to solo travel. There are so many elements that make Iceland a popular destination, from natural hot springs, wild horses and waterfalls, but one thing which makes it hugely appealing to solo tourists is the ease of which you can travel around and take part in activities. 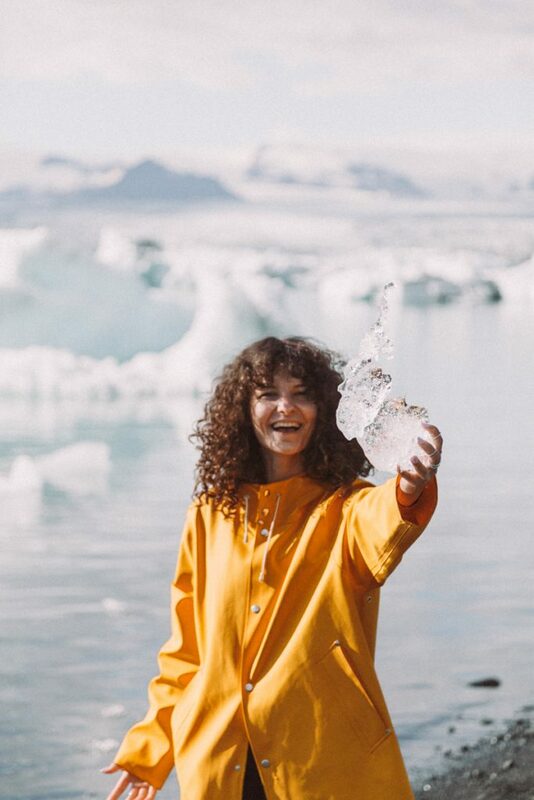 Like any travel destination, it is the people who make the place and Icelandic people are more than happy to great you with a smile and give you directions or travel advice. With a tight-knit community, solo-traveling here doesn’t feel as overwhelming as it does in a larger city. There are plenty of hostels and bars and restaurants in Reykjavik that are just within minutes of each other, making it easy for you to socialize and meet other travelers and is the perfect base location to go and explore the national parks or natural locations. Known for being one of the friendliest cities in the UK, if you’re a solo traveler then you’re sure to love a visit to Manchester. Everyone knows the humor that comes with English weather, and Manchester can be particularly rainy due to its location in the middle of the Peak District, but there is plenty to see and do which doesn’t involve getting caught in the rain. With plenty of free museums, libraries, walking tours and transport, Manchester is a budget-friendly location for those watching the pennies, yet still provides travelers with great memories and the opportunity to meet other like-minded explorers. Whilst a table for one isn’t everyone’s idea of fun, there are plenty of places to eat in Manchester which are more than happy to cater to traveling diners. Be sure to check out the Northern Quarter or Oxford Road for affordable eats and bustling restaurants. Eastern Europe is relatively cheaper to travel to and around than Western Europe and is full of exciting new destinations. If you are traveling on a shoestring budget, then Budapest is sure to be a great location for you to visit. Many of Budapest’s landmarks are easy to get to by foot and aren’t located far from one another. 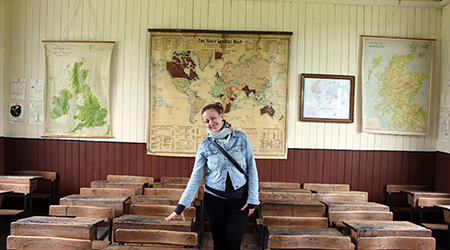 Whilst there are guide buses and tour guides, it is also fun to just pick up a map and head out on your own. You’re much more likely to run into other solo travelers or find quirky and fun places to eat or grab a drink as you make your way between the landmarks. Whether you’re into the party scene (which is huge in Budapest, but only if you know where to go), or prefer making your way from landmark to landmark, there is plenty in Budapest to keep you occupied. If any of these destinations have sparked an interest, then be sure to check out our travel deals on all of the locations mentioned above. Whether you want to do a single trip, or head to a few countries at once, we’re sure to have something to suit your travel needs. The article has been contributed by our guest writer, Natalie. Before you can experience authentic Spanish tapas, delicious Roman pizza and cold beers in Prague, your European travels require some serious planning. Although the logistics involved in planning a trip through Europe may seem overwhelming, the more prepared you are, the greater your chances of a successful trip. The following guide should prepare you with everything you need to know for your trip through Europe. Understandably, it is easy to get caught up in the excitement of planning your trip to Europe, that you can often forget necessities. Be sure to check if your passport is valid prior to your trip. If your passport is still intact, the other thing you will need to check for is how long your passport is valid for once you have begun your travels. Some European countries require a three-month timeframe whilst others require up to six months so be sure to check its expiration date. If your passport falls short of these requirements, it is likely that you will not be allowed to enter the country. It is fundamental that you take responsibility for knowing the visa requirements for anywhere to which you are traveling to. If you are unsure or unable to find the information you need then don’t hesitate to contact a specialist immigration solicitors or visa team prior to your trip. When traveling through Europe, you can literally stumble across a whole new country border so its best to have the correct travel documents at the ready. Be sure to pack light as not only will this save you from arm ache and a sore back, it will also save you from the cost of checking in luggage. If you’re planning on doing lots of shopping during your European trip, or you’re just a sucker for souvenirs, then pack a spare lightweight bag so you can check it in on your return if you have to. Recently, traveling has become way more about having a food experience. Travelers now plan their trip with their bellies in mind and local cuisines have become the forefront of tourist attractions. With this being said, there are many reasons to visit Europe, not least of which is the opportunity to sample some true delights of European homelands. Whilst on your travels, avoid eating at the big chains that you will come across in all the big cities. It is important that you resist the urge to stick to what you’re familiar with in order to gain the most out of your traveling experience. Trying local cuisines is the perfect way to immerse yourself in local culture as well as discovering foods that you may never have tried before. Europe is home to some of the best chefs in the world thanks to its fresh quality and local produce. For those adventurous foodies that desire a traveling experience of high-end European cuisines, visit one of the many Michelin star restaurants. European street food is fundamental when it comes to your travels. It is about so much more than just saving a bit of money. You can get a real feel for a city by its street food as well as it being cheap, quick and readily available on-the-go. Spain is renowned for its unique tapas culture of bar hopping combined with delicious miniature dishes which has become one of the most popular forms of dining, not just in Spain, but all over the world. Be sure to indulge beyond the pizzas of Rome and try some good old Suppli which is regarded as one of Rome’s best and most traditional street foods. It also makes a nice change for pasta and gelato. Transportation through Europe is fairly straightforward. Traveling by train is one of the most popular modes of transport throughout Europe asides from catching cheap flights. It is also an enjoyable mode of transport (if it’s not too busy to bag yourself a window seat). In western Europe, you can travel to nearly every single destination by train thanks to extensive network rails. 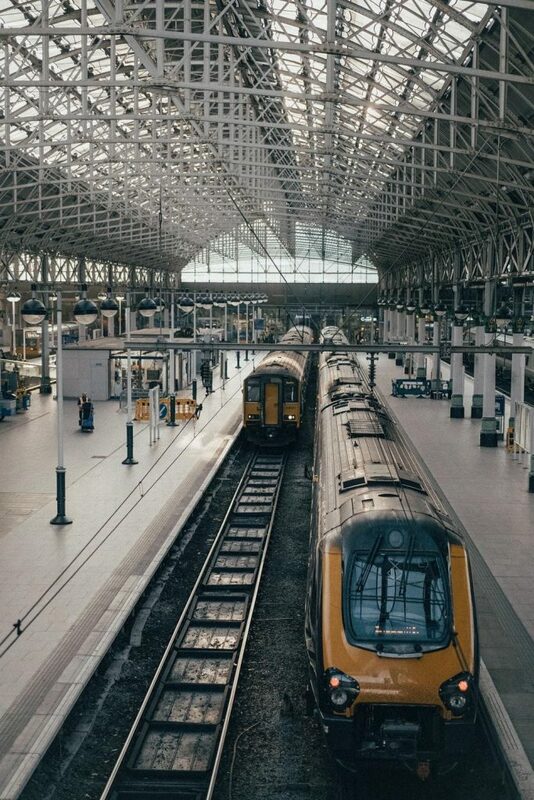 Investing in a rail pass is a great way to travel to multiple destinations in one trip whilst keeping the cost minimal. The article has been contributed by our guest writer, Poppy. Have you already got a holiday planned on the horizon, or are you more of a last-minute travel planner? 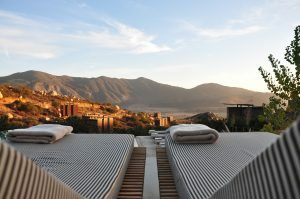 Whether you want a food-focused escape or a “healthy holiday” away from life’s little stresses, then 2019’s travel trends are sure to have you tempted to book a holiday today. Last October, it was widely reported that 18-30 Club Holidays were no more after 50 long years. The Mediterranean resorts which have spent decades cleaning up the carnage caused by numerous drinking challenges and cheap takeaways are sure to be happy that they have lost their appeal. We have now entered a time where healthy holidays are driven by young people who want to be awake and sober whilst they explore the local sights. The huge rise in wellness tourism, which is now worth $639bn globally, is growing twice as fast as general tourism and this is just down to young people. Wellness retreats and resorts are now welcoming people of all ages with holiday packages for every life stage, from stag dos to mumcations. Yoga, meditation, and wellness are all huge focuses, with some resorts including healthy eating options and juice cleanses alongside them. It’s time to pack your yoga mat and high waisted gym leggings! Solo holidays are now a huge focus for travel companies. The idea of heading to a location on your own and travelling alongside a group of other like-minded travellers has a lot of appeal to those who just want to get out and see the world and, thanks to the “#MeToo” movement, more solo women are getting the confidence to book their own travel adventures. Some of the most popular trips for solo travellers tend to be walking and adventure trips. Walking and hiking amongst unseen parts of your destination makes the experience all that more special and is perfect when taking part with a group, especially when you have met other people that you want to explore with. Asia is one of the most popular destinations for solo travellers. It’s a great way to explore and try out new experiences and cultures without having to worry about much internal travel or constant border crossings and hostel hunting. With more people working longer and being unable to take the time they want off work, weekend trips are set to be huge in 2019. Over 53% of travellers have said in a recent survey that they plan to make more regular weekend excursions this year, with many wanting to spend time exploring new places. European cities and hotspots are set to see an increase in tourist numbers, with many taking advantage of more readily available flight routes and cheaper accommodation. Experience is now being chosen over material possessions and overdone tourist destinations according to new statistics. Over 60% of travellers are said to favour new and authentic experiences over the typical tourist attractions. This means that in 2019, travellers will be actively seeking out a vast variety of activities, from outdoor sleeping arrangements and authentic cooking classes, and looking for things which focus on happiness and comfort. Wildlife excursions are on the rise in Madagascar, thanks to the beautiful landscape and wildlife. 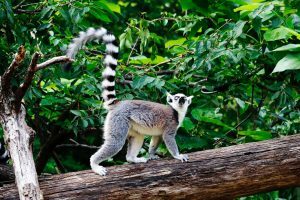 There are currently 86 different species of lemur living in Madagascar and fauna and flora species which are over tens of millions of years old. 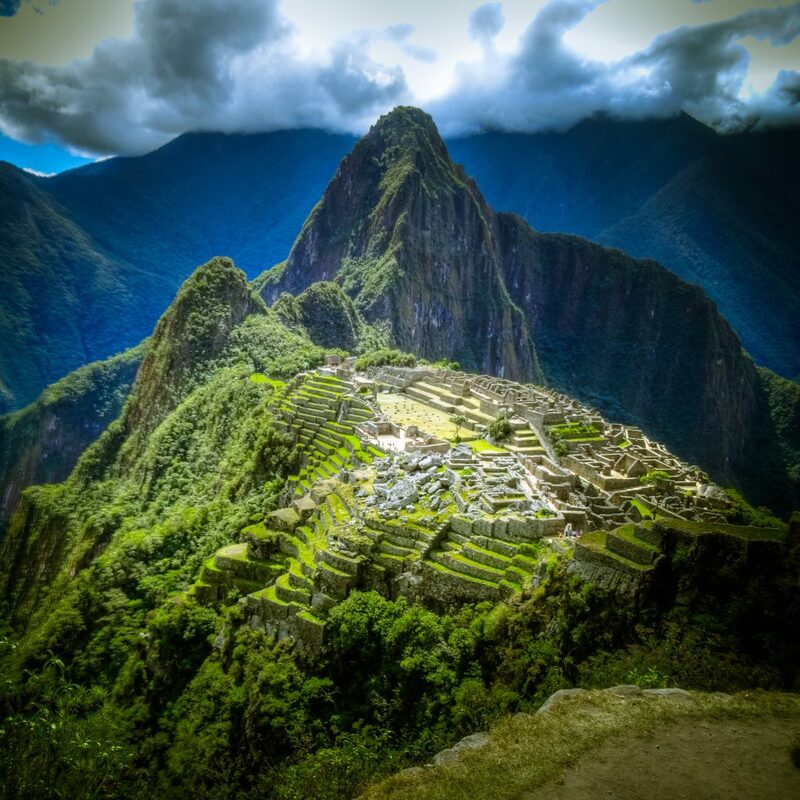 Peru is also becoming a huge draw for tourists, who want to want the hike their way into Machu Picchu. Set up high in the Andes Mountains, the Incan citadel was built in the 15th century and today offers a fierce challenge for those willing, and able, to trek there. If you want to take part in these experiences but are limited to a budget, don’t let that stop you from pursuing your travelling dreams. Whether you want to visit some more cities on your weekends or plan a month-long trip, Skysurf.Travel is here to help you find cheap flights to get you to where you want to go. Explore the best deals and start planning your trip today. SkySurf.Travel is currently seeking someone to travel the world to eight different cities. The selected applicant will receive $2,000, which will go towards his or her trip, for an adventure of a lifetime. Here are some tips on how you can travel the world for only $2,000! Use SkySurf.Travel to build your round-the-world multi-city itinerary. I was able to build an itinerary from New York City to eight European cities and back for under $600. That leaves me with a little over $1,400 for spending. Remember to pack light! Some airlines charge a fee for carry-ons. Be sure to read the baggage policy for each airline before booking. Try Couchsurfing. You can stay with locals for free and it’s a great way of meeting new people. If you can’t find a host or you aren’t comfortable using it, you can try hostels or private rooms on Airbnb for cheap accommodation. If it’s warm outside, you can even try camping. Ask your hosts or hostel staff for cheap and free local things to do. Go grocery shopping and cook at your hosts living space. It’s a good idea to cook and then wash the dishes for your hosts as a token of appreciation. Taking the Host out, bringing a small gift or some other gesture are also good ideas. This can cost you about $70/week, and even a lot cheaper, depending on which country you are visiting. That’s about $500 for two months of grocery shopping. That leaves you with $900. Use public transportation, trusted carpooling services such as BlaBlaCar, or hitchhike. Here’s the guide to hitchhiking the world, and here’s a price list of public transportation in 80 cities around the world. For example, a day pass in Prague costs 5 euros, while in Paris a 1-day pass costs around 11 euros. Let’s say I set aside a budget of $75/week for transportation. That’s a total of $600 for two months, which leaves me with $300! You can try a service like Rome2Rio for searching the cheapest public transportation to any destination. Stay away from taxis if you can. Public transportation is the best way, IMHO, to explore any city. Also, try renting out a bicycle if you can; it’s cheap or can be free, a great and fast way to see and explore any city, and it’s good exercise! Use free Wi-Fi and apps like Facebook Messenger, Whatsapp, Viber, Skype, etc. to make calls anywhere abroad for free. Transacting money directly from the debit card in the local currency is a better way than exchanging money to the local currency. If you are a student, make sure to bring your student ID with you. Many museums and such have student rates and the savings can add up quite a bit. Some cities may offer tourist cards. These can be big money savers. Pay a small price for free museums, discounted public transportation, attraction discounts, and more. Do some research to see if the city you will be traveling to has tourist cards. Be vigilant at all times. A great way to save money is not to lose it! So be aware of pickpockets, especially in big cities. You can pick up some freelance work while you travel to earn some extra money, such as with Upwork, a global freelancing platform where businesses and independent professionals connect and collaborate remotely. Explore nature. Hike a mountain or go swimming in the ocean. Take a ton of photos. Catch a tan on the beach and relax to the sound of the waves, while doing a yoga class. There are plenty of activities you can do in the great outdoors, and many are free. Pub crawls can be free or cheap and a great way to meet people and to check out the local nightlife party scene. Sometimes a free beer or shots are included. It’s not required to drink when you pub crawl and you can always grab a soda or juice. Google Trips. This app automatically maps out a half day or a full day with suggestions for things to see and do. Meetup. Meetup provides a way to connect with individuals with similar hobbies and interests. Join in on a local soccer game, learn a new language, or even learn local cuisine by taking a cooking class. Party With. Use this app to link up with locals and fellow travelers for local nightlife. Keep in mind that alcohol can be expensive at bars and restaurants, so try to set a small budget aside for it, or don’t drink it at all. All Events. An easy way to find activities to explore. Search for local concerts, sporting events, and local food. Geosure may be one of the best travel apps for safety information. It provides comprehensive street-level scores using crime and safety information from government organizations, local authorities, and crowd generated responses to assess a neighbor’s risk level. CityMapper. Travelers in search of easy transportation will see that CityMapper makes finding the best route simple. Whether your car sharing or taking local subways the app saves time and money in route. Like a Local. Like a Local is meant to help travelers find fun spots to hang out in a place, just as a local would do, from restaurants and bars to art galleries and holiday parks. The app works completely offline and features cities like Munich, Brussels, Amsterdam, Stockholm, Copenhagen, and Vienna. Hostelworld. Use this app to find and book cheap hostels around the world. Sygic. Sygic Maps is a free, great app for getting around a city by walking or driving when you have no internet access. Make sure to download the maps of the countries before visiting. These are just a few free travel apps I recommend. There are many travel apps out there, so it’s a good idea to research a few, as well as any local travel apps, before your trip. With all these apps nowadays to meet new people and find things to do, you should have an eventful and fun experience. You can even try dating apps. Who knows? Maybe you’ll fall in love with a special man or woman in a foreign country (that’s if you’re single, of course 😊 ). The possibilities are endless of what one can do without having to spend a lot of money, or any at all. Traveling on a budget can be a more fulfilling experience. It’s really about the experience and the people you meet, and not just what you see and how much you spend. Once a SkySurf.Travel travel job applicant is selected and starts his or her journey, we’ll provide handy travel tips and advice along the way so that the trip can be as smooth as possible. If you haven’t already and are interested in traveling the world and getting paid for it, please read more details here. If you’re not interested, but know someone who may be, please share this post. This can be a great opportunity; for example, for art or history students, photographers, travel writers, or anyone who just wants to explore the world. If you have any questions, please contact us from the footer of the SkySurf.Travel homepage; and if you have any comments or tips you’d like to add, please post below. 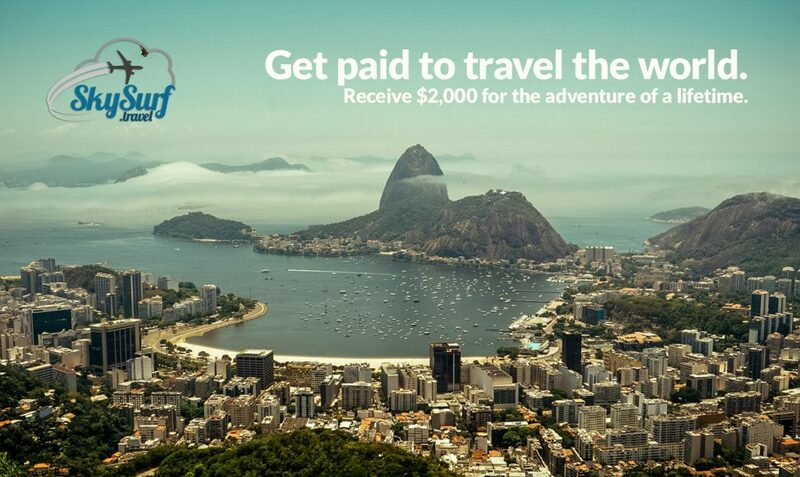 Receive $2000 for an adventure of a lifetime. Want to travel around the world and blog about your adventure? Now’s your chance. SkySurf.Travel is looking for a travel blogger to travel the world. The selected applicant will receive $2,000 for the adventure of a lifetime. The two-month multi-itinerary flight itinerary total must be under $2,000 at SkySurf.Travel from your home airport. To apply, write a short cover letter (3,000 characters or less) with a video (one minute or less) as to why you should get hired for this job, along with any blogs you have written in the past or are currently working on. You’ll also need to be taking photos and recording video, so if you have any photo and/or video work, make sure to include those as well. All applicants must apply to this Upwork application. Deadline entry for this application is in two months: March 31, 2019. An applicant will be chosen based on the best cover letter, video, and prior blog writing work. The selected applicant and SkySurf.Travel will be bound to a contract at Upwork.com, so you must have an account at Upwork. You will be paid via Upwork before every flight, so if your multi-city itinerary contains 8 flights, there will be 8 milestones; each milestone will cover your flight and accommodation. Your departure date must be before May 24, 2019, and your trip duration must be at least two months. If you happen to build a multi-city itinerary for cheaper than $2,000 at SkySurf.Travel; great! You will still receive the $2,000. For example, if you can build a multi-city itinerary for $600, you’ll have an extra $1,400 you can use for accommodation or anything you please. Once an applicant is selected, the Skysurf.Travel team can help him or her build an even cheaper multi-city itinerary upon request. Ideally, we would like to have someone fly to 8 different cities (one city per week). Instagram stories, writing about their experiences and suggesting handy travel tips, three times a week. That’s a total of 24 blog entries. The blog entries must include local food, culture, nightlife, nature, transportation, and ways to stay on budget. Your adventure blog will be featured here at the SkySurf.Travel blog. If you have any questions, please contact us via Upwork messenger or the contact form, which can be found in the footer of the SkySurf.Travel homepage. This job is open to anyone from around the world who is 18 years of age or older and can write in the English language. Make sure to sign up to the SkySurf.Travel newsletter at the homepage to receive job updates to your inbox. The purpose of this Round-the-world trip is to show people that it doesn’t require a lot of money to travel the world. In this case, for less than $2,000 (the average cost of a single round-trip flight ticket with accommodation) for flights to several destinations in one trip, using the SkySurf.Travel tool. How to Travel the United States by Plane for Really Cheap. Fourteen States for Under $600. India and Sri Lanka: 11 Cities by Plane for under $450 in One Trip! As an example, I have created a flight itinerary to 8 European cities (a city each week) from New York City (NYC) and back, for under $600! All flights are non-stop. That means I’ll have an additional $1,400 for accommodation, transportation, and any extra travel expenses. Take a look at my BookIt List and flight map screenshots that were generated at SkySurf.Travel below. To learn more about how to build an economical flight itinerary, visit the SkySurf.Travel blogs posted above. That’s a grand total of $581 for all flights. The possibilities for creating an economical multi-city flight itinerary are endless. Visit SkySurf.Travel to start building yours. Applying for this SkySurf.Travel Round-the-World trip is free. No purchase is necessary. All applications must be in the form of a short video (one minute or less) with a brief written description (3,000 characters or less). Applicants must submit their applications through this Upwork posting. Applications are due no later than 11:59 p.m. EST on Sunday, March 31, 2019. Late applications will not be eligible. Your departure date must be before 11:59 p.m. EST on Friday, May 24, 2019. In order to participate, applicants must be 18 years of age at the travel start date and be able to write in the English language. You will be paid via the Upwork platform before each flight in a series of milestones. The total cost of flights and accommodation cannot exceed $2,000. If your trip exceeds $2,000, you will be responsible for any additional expenses. Blog entries must contain 800 words or more. The blog entries should include local food, culture, nightlife, nature, transportation, and ways to stay on budget. You must deliver your work before each flight. If for some reason you cannot deliver your work before each flight, please contact us via Upwork to arrange a delivery time. Excludes medical and/or trip insurance. By participating in the SkySurf.Travel Round-the-World trip, applicants agree to release and hold harmless SkySurf.Travel, (Soma Sciences and Arts Studio LLC) against any and all claims, injury or damage arising out of or relating to participation in this trip. The duration of the trip must be for 2 months (8 weeks). You must have a valid passport (and visas, if required by the countries you are traveling to). The trip must be booked 30 days prior to departure and may take place any time before May 24, 2019. All submitted content may be used by SkySurf.Travel in any future initiatives and for any purpose, including print or online marketing. Portions of the trips may also be documented by SkySurf.Travel, and any resulting footage may be used by SkySurf.Travel in any manner or for any purpose. This job is void where prohibited by law. The selected applicant may be required to execute an affidavit of eligibility and a publicity release unless prohibited by law. Best of luck and safe travels! The number of tourists visiting Japan this year (2017) hit a new record, exceeding the previous high of over 24 million last year, and it’s no wonder! Japan is very interesting, especially to Westerners, many of whom immediately think of sushi, sumo wrestling and samurai when they think of Japan. While these three things are very much a part of Japanese culture and tradition, there’s much more to discover in Japan, such as the people, the food, traditional & contemporary Japanese culture, as well as Japan’s efficiency and cleanliness. According to Lonely Planet’s “Getting around Japan by Train” page, the cheapest train ride is from Tokyo to Niigata, Japan, for 5,620¥ (That’s $50 USD or 42 Euros); the most expensive is to Hakata, Japan, for 13,820¥ ($123 USD or 103 Euros); and according to Lonely Planet’s “Getting around Japan by Bus” page, bus rides from Tokyo to other cities can range from 3,200¥-10,230¥ ($29-$91USD). 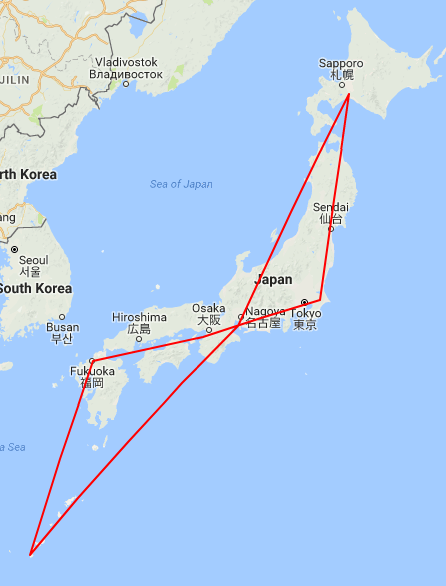 The cheapest and fastest way to travel to a few cities around Japan is by plane. In this blog entry, you’ll learn how to build the most cost-effective multi-city flight itinerary for Japan using SkySurf.Travel. For this example, I was able to build a flight itinerary to 6 cities in Japan for only $277 USD. That’s an average cost of about $46 USD per flight, which is cheaper than any train ride in Japan, and about the average cost of a bus ride. The average bus travel duration is 8 hours, whereas average flight duration is 1.5 hours. Not only will you be saving money, but also time! First, I visited SkySurf.Travel and clicked on the “Multi-city” tab. In the “Traveling From” field, I entered in ‘Tokyo’ and selected ‘Tokyo, (Japan) – TYOA’ from the autosuggestion dropdown. I then selected ‘Japan’ from the “Country Destination” dropdown box, followed by selecting my departure date, which for this example is January 11, 2018. If you are flexible, you can choose ‘anytime’ or an entire month. Finally, I clicked on the “Explore Best Deals!” button and a list of the cheapest flights were displayed. I planned on staying in Osaka, Japan, for 5 nights, so I selected January 16, 2018 as my departure date. 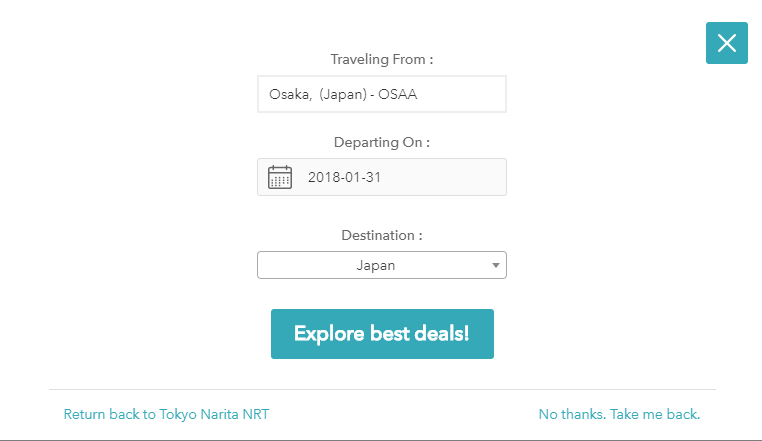 I then selected “Japan” from the ‘destination’ dropdown, and finally clicked on the “Explore best deals!” button to explore the cheapest flight options from Osaka, Japan. I repeated the above process until I was at my final destination, which, in this case, was Tokyo. Not bad, huh? 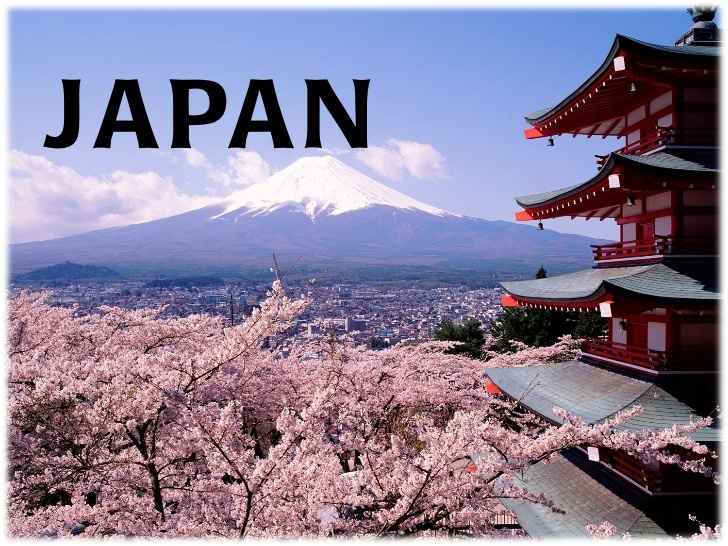 Six cities in Japan by flight for only $277 USD including taxes. All non-stop flights. Once you are done adding all your flights to your ‘BookIt List’, just click on the ‘BookIt List’ tab in the top navigation, and then click on all the ‘BOOK IT NOW’ buttons to book all your flights. Here’s how to travel around Southeast Asia to 9 cities (7 countries) for under $400 in one trip. And here’s how to travel around East Asia by plan to 12 cities (3 countries) for under $750 in one trip. Are you looking for super cheap travel deals, but do not want to keep checking airfare websites for deals to pop up? SkySurf.Travel has just released its newsletter feature, which you can subscribe to at the bottom left corner of the SkySurf.Travel homepage. Just enter in your e-mail address, where you are traveling from (can be an airport, city, or country), and your local currency. Then click on the “SUBSCRIBE!” button and you will shortly receive a welcome e-mail. Once you sign up, you’ll be receiving super cheap flight deals to your e-mail inbox about once a week. 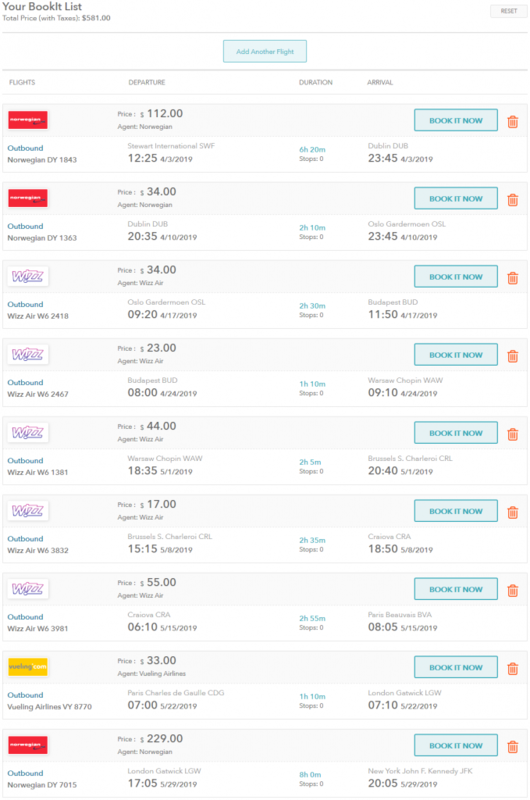 These deals can include, but are not limited to, round-trip non-stop flights from the United States to Europe for $200-$300; United States to the Caribbean for $100-$200; European countries to other European countries for under $50; or London, England to the Middle East or Asia for under $200. These are just a few examples. Of course, you’ll only be receiving super cheap flight deals that are departing from the airport, city, or country you’ve subscribed with. This newsletter is great for people looking to travel with a limited budget, who may not have a set destination in mind, or just want to see some awesome travel deals they don’t want to miss. Here’s how it works: Let’s say you live in New York City (NYC). Once you sign up, you’ll receive the absolute lowest fares to various destinations around the world about once a week. For example, if our website finds that the absolute lowest fare is to Los Angeles, CA for $40 round-trip, you’ll receive that as the top result, and then more results that are sorted by the absolute cheapest to the most expensive. Try it for yourself and see where you can fly to, and, if you don’t like the results, you can always unsubscribe with a click of a button. person. We rented a car for the entire week from Edinburgh Airport for the price of ‎$190 USD (we got an automatic. Manual was even cheaper!) Since this was my first time driving on the left side of the road, I decided to get the full-coverage insurance for about $200, which comes out to be $390 total for the car rental. We did a lot of driving and gas cost us ‎£70 (about $92). You’ll read more about our entire journey later on in this blog entry. Each night, we stayed at a different hotel or hostel, since we were in a different city every night. The total cost for accommodations was about $618. The total cost for flight, bus, car, and hotels was $1,840. That comes out to be $920 USD per person! That’s about the average price for round-trip flights from the United States to Europe. You can go even cheaper if you decide to travel around by public transportation and by booking really cheap accommodation, such as hostels, shared rooms, camping, or private rooms through Airbnb or other “place to stay” websites. Scotland was definitely worth the trip, especially for the price we paid! We arrived in Edinburgh, Scotland. 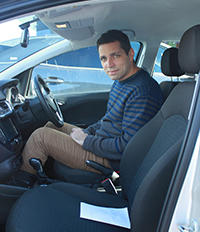 The first thing we did was take a shuttle bus to our car rental agency, Green Motion, to pick up our vehicle. There was only one thing we were not too happy about, and that was the long wait at Green Motion (two hours!) for our rental car. It seemed as if many people rent cars from Green Motion, most likely because of the great deal; however, the company should definitely hire some more representatives to speed up the process. Once we got our rental car, we were on our way to our hostel (Euro Hostel Edinburgh Halls) in Edinburgh. The cost for the night (private room) was $86.65. After we settled in, we were walking to the city center, and then were suddenly stopped by a poet. He wanted us to see his show, so we decided to make our first stop at the Pilgrim Bar. It was quite an interesting show. We learned what dogging is through one of his poems. It’s British English slang, and if you’re not 18 yet, do not click on the link. After the bar, we decided to take it easy our first day in Scotland, after our long journey, so we postponed visiting any Edinburgh attractions until our last night in Scotland. We did, however, visit a Scottish restaurant. It was my first time trying haggis. I didn’t know what to expect, but once I tried it, I realized it was quite good. We then walked around the city and visited a few pubs and parks. Finally, our night ended with a bike taxi taking us back to our hostel. 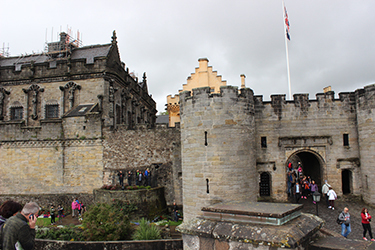 Destination: Stirling Castle! 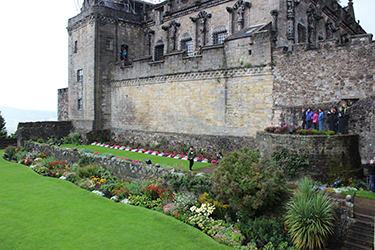 One of the largest and most famous castles in Scotland, it’s been home to Mary, Queen of Scots, where several Scottish kings and queens have been crowned. We were pretty lucky with the weather throughout our trip. Scotland is one of the rainiest places in Europe, and the only time there was a considerable amount of rain was on this day. 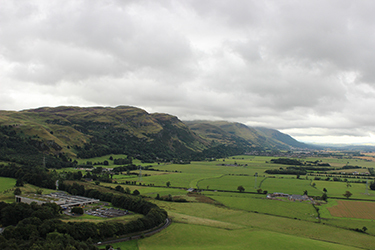 After the Wallace Monument, we made our way to Fort William to the Croit Anna Hotel, where we stayed our second night. The price for one night was $140 with a view of Loch Linnhe (“Loch” means Lake in Scottish). Once we arrived, checked in, and settled in, we were on our way to the city center for dinner. While looking for a good restaurant, we came across a booth which was selling tickets for boat cruises around Loch Linnhe. The boat cruise was leaving in about an hour and a half, so we ended up purchasing tickets. We made our way to a traditional British Fish & chips stand and ordered Haddock. There’s nothing more British than fish & chips. Freshly cooked, smothered in salt and soused with malt vinegar, then wrapped in newspaper. Britain’s fish & chips simply cannot be beaten! After our dinner, we made it right on time for the cruise. As soon as we sat down in the boat, it started pouring rain. As we got deeper into the Loch, the rain stopped and the views were amazing. After our lovely cruise, we made it back to the hotel, where we had a few drinks at the hotel bar before calling it a night. 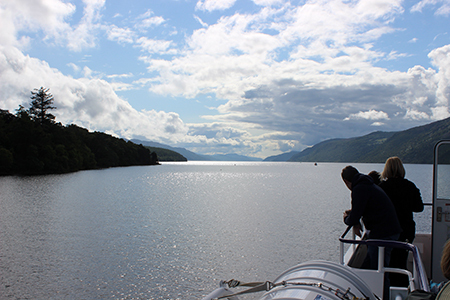 We decided to head up to Loch Ness, in search of Nessie, the legendary Loch Ness monster. Our first stop was Urquhart Castle, which played a role in the Wars of Scottish Independence in the 14th century. The castle is situated on a headland and overlooks Loch Ness. We had considered going on a boat cruise around the Loch Ness from Drumnadrochit; however, we weren’t too fond of the price or length of the cruise, so we ended up not purchasing tickets; and it’s good we didn’t! After leaving Drumnadrochit, we were on our way to our guesthouse in Inverness, and drove by Loch Ness by Jacobite – Cruises in Inverness-shire. We decided to check out the prices, and they were both cheaper (£14) and longer (1.5 hrs)! 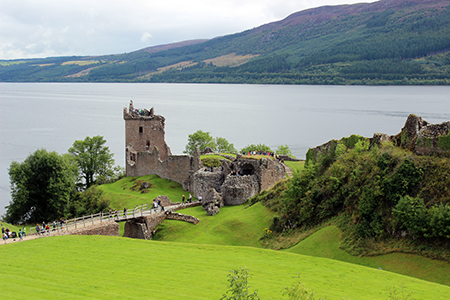 The cruise starts from the north end of the Loch Ness and makes its way south to Urquhart Castle and back. If you want, you can get off the boat and visit the castle before jumping on a return boat a little later. After the cruise, it was time to head to our guesthouse in Inverness to check in and head out for dinner. We checked into the Inverness Guest House for one night for the price of $73. Once we settled in, we were on our way to find a good Scottish restaurant in the city center of Inverness. We ended up going to the Victoria Restaurant, where my girlfriend had a pasta dish, and, I, chicken stuffed with haggis. What else did you expect? It was Saturday night, so we decided to stay out all night and enjoy the Scottish culture & music. Live Scottish music at the pubs, plenty of dancing, and good Scottish beer was easily found in all the local pubs and bars. This was the night of the Mayweather vs. McGregor boxing match. I’m a fan of boxing and was hoping to watch the fight. However, it aired sometime between 4-6am Scottish time, so we decided not to stay up until the morning and to get some good rest. Floyd Mayweather Jr. defeated Conor McGregor by TKO in the 10th round. I’m a fan of Mayweather, so I was glad he won. 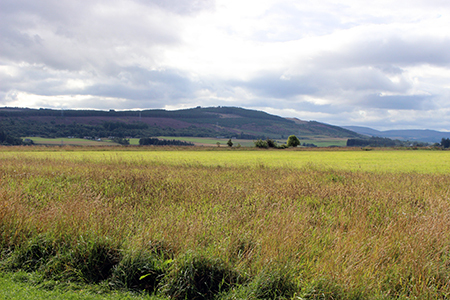 Speaking of battles, the Culloden Battlefield, the site of the last bloody battle of the Jacobite Rising and the last battle on British soil was the next stop for us! 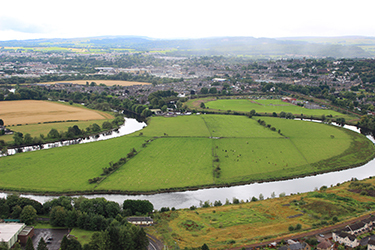 We had a free guided tour around the battlefield, where the Jacobite forces of Charles Edward Stuart were decisively defeated by loyalist troops commanded by William Augustus, Duke of Cumberland. All I could do was picture myself fighting in this battle. I’m more of a rebel, so I saw myself fighting alongside with the Jacobites. 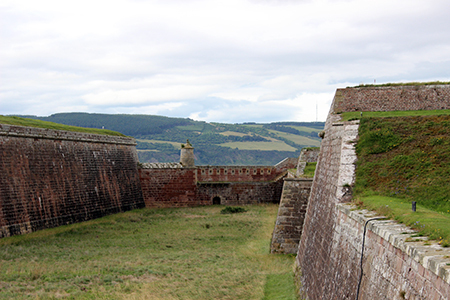 After the tour, we made our way to Fort George, which was built to pacify the Scottish Highlands in the aftermath of the Jacobite rising of 1745. The barracks are still in use as a military establishment, but much of the site is open to the public (there’s an entrance charge of £9). Here’s a tip for anyone planning to travel to Scotland and is interested in visiting a few museums, castles, forts, monuments, etc. There’s a thing called the “Member/Explorer Pass”. A seven-day pass costs only £42, so if you’re planning to do a lot of exploring, it’s worth purchasing and will save you money. There are also 3-day passes. We learned about this at Fort George, and if we had known earlier, it would have saved us money. 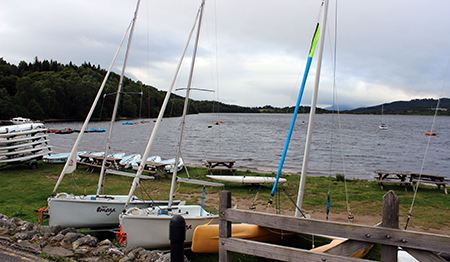 Next stop was the Insh Hall in Kincraig, where we spent a night next to the Loch Insh in Cairngorms National Park. A single night at the Insh Hall cost us $62. After we checked-in, we had a romantic dinner next to the Loch. We then went back to the hotel to decide what to do the next day. We decided to go horseback riding in Kingussie, and then visit the whiskey distillery Dalwhinnie before our next stop to Blair Atholl. We enjoyed free breakfast with a view of Loch Insh. We had hoped to go kayaking; however, the weather was cloudy, a bit cold and windy with a misty rain over the Loch, so we decided to go horseback riding for our next adventure. After breakfast, we headed back to our room to check out. 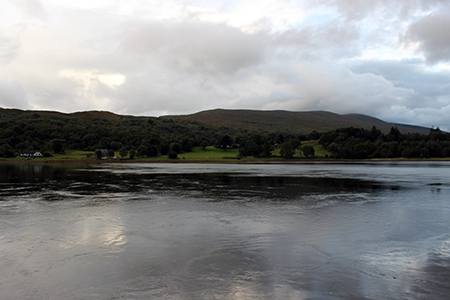 I then took a few final photos of the Loch before heading out. Our next stop was Kingussie for horseback riding. On our way there, we crossed paths with an old ruined barracks, so we decided to stop and take a look. 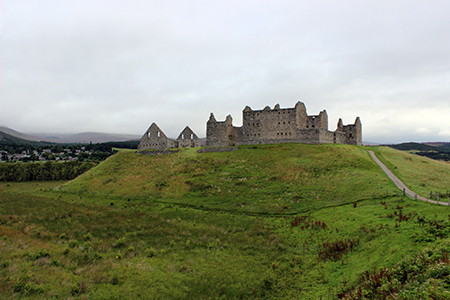 The name of the barracks is Ruthven Barracks. The plaque next to the entrance reads: “After the 1715 Jacobite rising four defensible barracks were built to police the highlands. Ruthven, holding a company of infantry, was completed in 1721. Later a stable was added for the horses of Dragoons patrolling General Wade’s new military road. 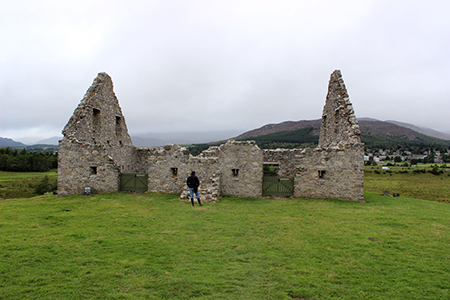 In 1745 Ruthven was successfully defended against a detachment of Prince Charles Edward Stuart’s army, but surrendered to his main force in the following year, when the barracks were burnt.” We then entered the barracks to explore this Scottish relic and to snap a few photos. We arrived at Highland Horse Fun in Kingussie. We were there about 3 hours early, so we booked a time in the afternoon for horseback riding, and were told that, in the meantime, we could visit the Highland Folk Museum, which is located only 2-3 miles away. 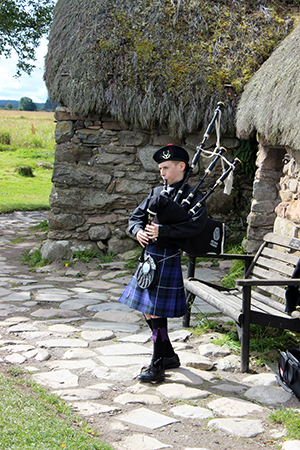 The Highland Folk Museum gives visitors a flavor of how Highland people lived and worked from the 1700s up until the 1960s. Over 30 historical buildings are displayed and furnished to their time period. 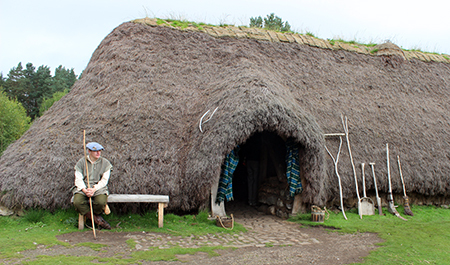 It’s a great place to visit if you’d like to get a feel of how Highlanders lived in the past. This museum is free, but it accepts any generous amount of donation for entry. At 2pm, it was finally time for horseback riding. After touring the Highland Folk Museum, we returned to Highland Horse Fun. It started to drizzle, but that didn’t stop anyone! Everyone there was determined to ride horses, rain or shine. We mounted the horses: my girlfriend’s horse’s name was Gracie, and mine was Bella… and we were off. 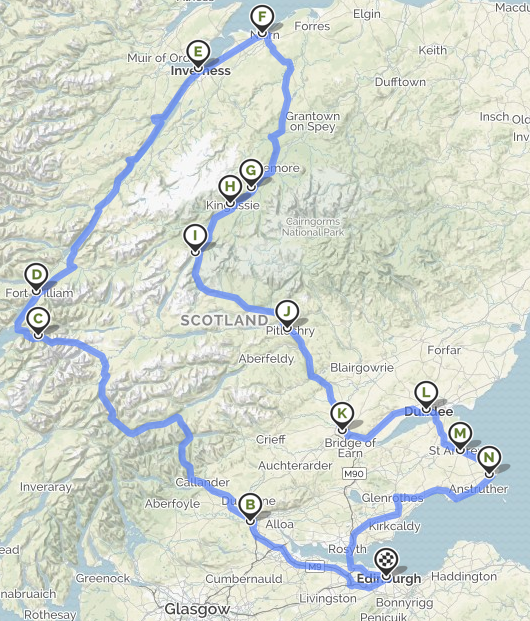 First, we rode around in the forest, and then, on the streets with views of the scenic Highland mountains. The horse ride was about 1.5 hours for £40 per person. After the horseback riding we decided to take a detour to visit a Scotch distillery to learn how Scotch whisky is made in the Highlands. 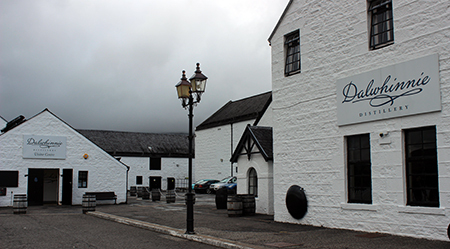 We visit the Dalwhinnie distillery en route in (you guessed it) Dalwhinnie, Scotland. The tour lasted about an hour and cost £12 per person. Here’s a few things I learned about how Scotch is made: The level of smokiness of a whisky is determined by the time the barley grain is exposed to the pungent smoke of peat during drying. All of the natural color observed in whisky comes from the barrel – as does many of its aromas and flavors. The majority of barrels used for aging Scotch Whisky were originally used to age bourbon in the USA. Scotch Whisky is almost always aged in used barrels while bourbon is required to be aged in new oak barrels. Since bourbon is required to be aged in new oak barrels, the used barrels get sold to Scottish distilleries for a fraction of the price. The used bourbon barrels arrive to Scottish distilleries disassembled, which are then charred in order to sterilize and remove any flavors of bourbon. Once charred, the barrel is assembled and spirits are poured into the barrel for the aging process, which must last for a minimum of 3 years in order to be called a Scotch Whisky. At the end of the whisky tour, we were invited for whisky and chocolate truffle tasting. Before we left the distillery, we purchased a single malt 15-year-old Scotch bottle of Dalwhinnie with a £5-off voucher that was included with the tour ticket. Our final destination for the night was to our guesthouse, the Dalgreine Guest House in Blair Atholl, next to the Blair Castle. We were welcomed by the friendly couple, John and Rhona, who run the guesthouse. 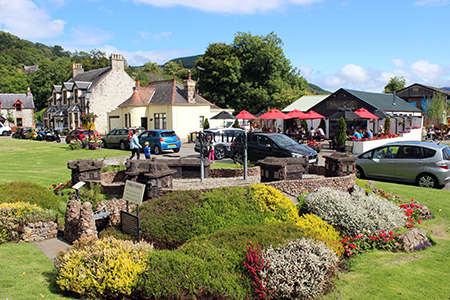 After we settled in, we decided to look for dinner at a local restaurant in Blair Atholl. 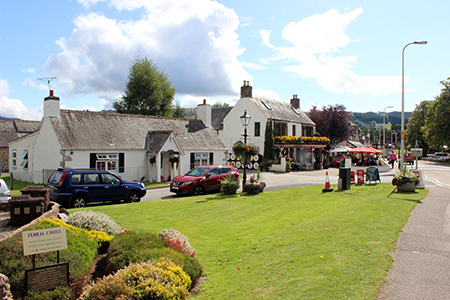 Blair Atholl is a small charming town with scenic views. There is not much of a nightlife scene; however, we did find a nice pub where we enjoyed food, music, and drinks for the rest of the night. We had breakfast at our guesthouse, included with the price of a night’s stay, which cost us $96 total. If you’re ever looking to stay next to the Blair Castle in Blair Atholl, we strongly recommend the Dalgreine Guest House. You’ll be sure to find nice tidy rooms with awesome hosts! Our first stop was Blair Castle. It is the ancestral home of the Clan Murray, and was historically the seat of their chief, the Duke of Atholl. It has been and remains today the home of the Atholl family for over seven centuries. Before entering the castle, we went for a stroll around the Hercules Gardens. This unique creation of James Murray, 2nd Duke of Atholl, and his gardener, John Willson, took more than ten years to complete, between about 1744 and 1756. After the Hercules Garden, we made our way inside the Blair Castle to see how the Dukes have lived. Today, you can rent out the Blair Castle if you’re planning a wedding. 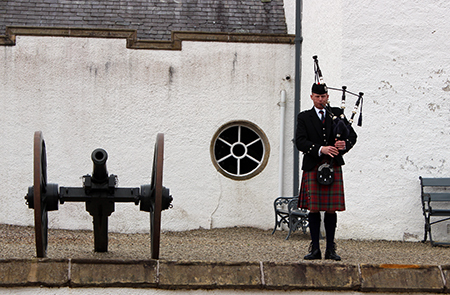 Every so often, a man dressed in Highland wear will play the bagpipes outside the castle. We then made our way to Perth, to visit the Scone Palace. Scone was for nearly 1,000 years the crowning-place of Scottish kings and what used to be the home of the Stone of Scone. This stone is an oblong block of red sandstone that was used for centuries in the coronation of the monarchs of Scotland, and later the monarchs of England and the Kingdom of Great Britain. On Christmas Day, 1950, four Scottish students from the University of Glasgow removed the Stone of Scone from Westminster Abbey in London and took the stone back to Scotland. In April 1951, the police received a tip-off and the stone was found. The Stone was returned to Westminster Abbey in February of 1952. 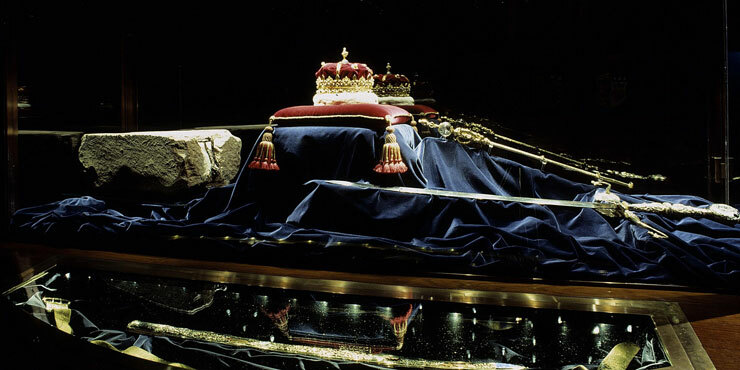 It was then returned to Scotland to Edinburgh Castle on November 30, 1996, where it currently remains alongside the crown jewels of Scotland in the Crown Room. 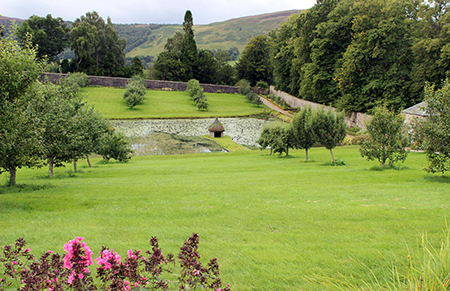 If you’re ever planning to make a visit to the Scone Palace, you’ll find lots of peacocks roaming around the gardens. You’ll also find a garden maze where in the center sets a bronze statue in a fountain. Next destination: St. Andrews via Dundee and the Tay Road Bridge. This is where we spent our 6th night in Scotland. We had a lovely stay at St. Nicholas Farmhouse B&B for $79. This was a bed and breakfast, so breakfast was included. We settled in and first thing we did, as usual, was look for a place to eat. St. Andrews is on the coastline of the North Sea. We walked by the panoramic shore to get to the city center, which is made up of only three streets: North, Market, and South street. St. Andrews is a small town, most notable for Scotland’s first university found in 1413, where Prince William attended and met Kate Middleton; as well as for St. Andrew’s Castle & Cathedral, and golf. Our first stop was Forgan’s St. Andrews. They had a special for Tuesday night, which was either a 3-beer or wine taster board at a reduced price, so we decided to stay and have some tasty appetizers with our taster boards. I recommend going here if you’re looking for place to go out for food & drinks in St. Andrews. The food looked and tasted delish. 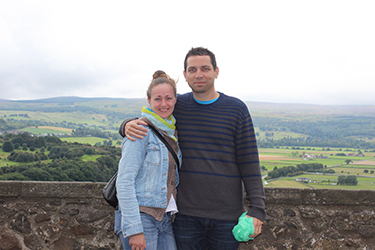 We decided to stay in the city center for a night out of fun & drinks in St. Andrews. We enjoyed our breakfast at the St. Nicholas Farmhouse B&B with a pleasant couple from Germany. We then made our way out to St. Andrews Castle, which was a bishop’s palace, a fortress and a state prison during its 450-year history. It sits on a rocky promontory overlooking a small beach called Castle Sands and the adjoining North Sea. The principal remains of the castle are a portion of the south wall enclosing a square tower, the “bottle dungeon,” the kitchen tower, and the underground mine and counter-mine. We followed up with a visit to the Cathedral of St. Andrew, which is nearby the castle. The cathedral was built in 1158 and became the center of the Medieval Catholic Church in Scotland as the seat of the Archdiocese of St. Andrews and the Bishops and Archbishops of St. Andrews. It fell into disuse and ruin after Catholic mass was outlawed during the 16th-century Scottish Reformation. During your visit, you can climb to the top of St. Rule’s Tower, which has a captivating view of St. Andrews. After touring the cathedral, we headed back to Edinburgh for our final night in Scotland. Our pleasant host told us to take a scenic route of the sea and to cross the new bridge, the Queensferry Crossing, which had just opened the day before. 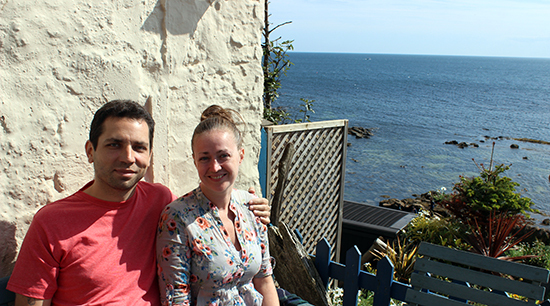 We stopped for a coffee in a shop with a lovely view of the sea from its backyard patio in Crail, Scotland; and then continued our journey to Edinburgh. Once we arrived at the bridge, we were stuck in our first and only traffic jam in Scotland, most likely because many people wanted to drive across the newly opened Queensferry Crossing. We then drove to the Edinburgh airport to return our car, since we didn’t need it anymore, and then took a tram to the Edinburgh city center. We checked into the High Street Hostel for $82 (private room). Our room was called the “Will & Kate” room. We then went out for dinner, and then at 8pm, we met with a group of people in the city center to go on a pub crawl. The pub crawl was a tour of about 6 pubs in Edinburgh with a group of tourists from around the world. We met people from Argentina, Spain, Germany, the United States, and other countries. The pub crawl costs only £7 per person and includes a drink/shot in each bar. There was lots of cheer and dancing. Our final day in Scotland! 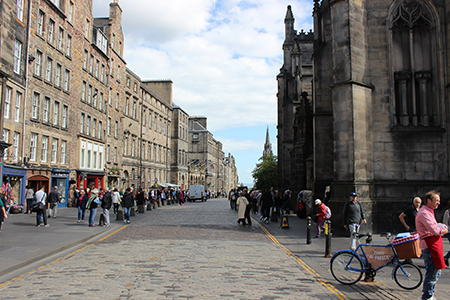 We booked a tour for 10:30am at Mary King’s Close, which is a historic close (alleyway) located under buildings on the Royal Mile, in the historic Old Town area. It took its name from one Mary King, a merchant burgess who resided on the Close in the 17th century. Our tour guide was excellent and we would definitely recommend this tour to everyone. Finally, we ended our adventure with the famous Edinburgh Castle! Our free guided tour started at 12:30pm, which lasted a half hour; just in time for the One O’clock Gun! 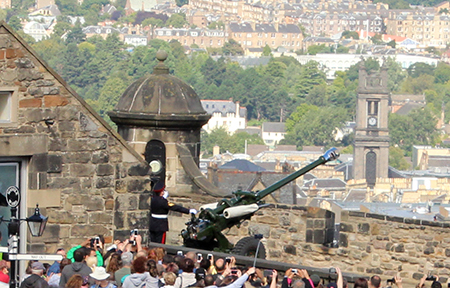 The firing of the One O’clock Gun dates back to 1861 when it allowed ships in the Firth of Forth to set the maritime clocks they needed to navigate the world’s oceans. Before leaving the castle, we made our way to the Crown Room, to see the crown jewels, and the Stone of Scone! What a magical moment to conclude our trip in Scotland! It was then time for us to return to our hostel, grab our luggage, and walk to the tram stop. We got to the airport 3 hours early and immediately started to reminisce about our unforgettable adventure. As you can see, we took an awesome trip for less than $1,000 per person (that excludes food & drinks, entertainment, and tours), and it’s possible to pay even less. If you plan on doing a lot of touring around Scotland, it’s a good idea to purchase a Member/Explorer Pass to save you money. The flight cost us only $330 per person with taxes included, which was purchased at SkySurf.Travel. You, too, can create your own inexpensive adventure by purchasing a cheap flight at SkySurf.Travel. If you do go on a trip where you’ve purchased a flight from SkySurf.Travel, please send me your story, photos and/or guest blog, and I’ll happily post your adventure on this blog. Whit’s fur ye’ll no go past ye. When presenting SkySurf.Travel, often I get asked the question, “How is SkySurf.Travel different from any other airfare finder website, such as Kayak, Skyscanner, or Google Flights?” That’s a great question. Why would anyone choose SkySurf.Travel over Skyscanner, Kayak, or Google Flights? In this blog entry, you’ll learn how SkySurf.Travel is different from any other flight ticket site on the web, and why you should take advantage of it to book your flight tickets. You have a budget set aside for flights, and want to see what your flight ticket options are. 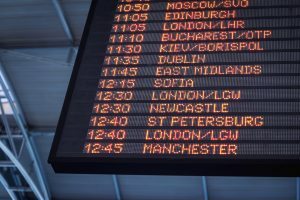 You want to travel to a few cities around the world, a continent, or country, and want to build the cheapest possible multi-city flight itinerary. You’re flying around the world, and whenever you’re ready to depart the city you’re in, you can see what your cheapest options are. You just want to see if there are any travel deals for the dates you want to travel, or if you’re flexible, choose ‘anytime’ or select the month you wish to travel. For example, there can be round-trip deals to Europe from the United States for $200-$300. No extra steps. SkySurf.Travel is your go-to website for finding the cheapest flight tickets to anywhere at any time. 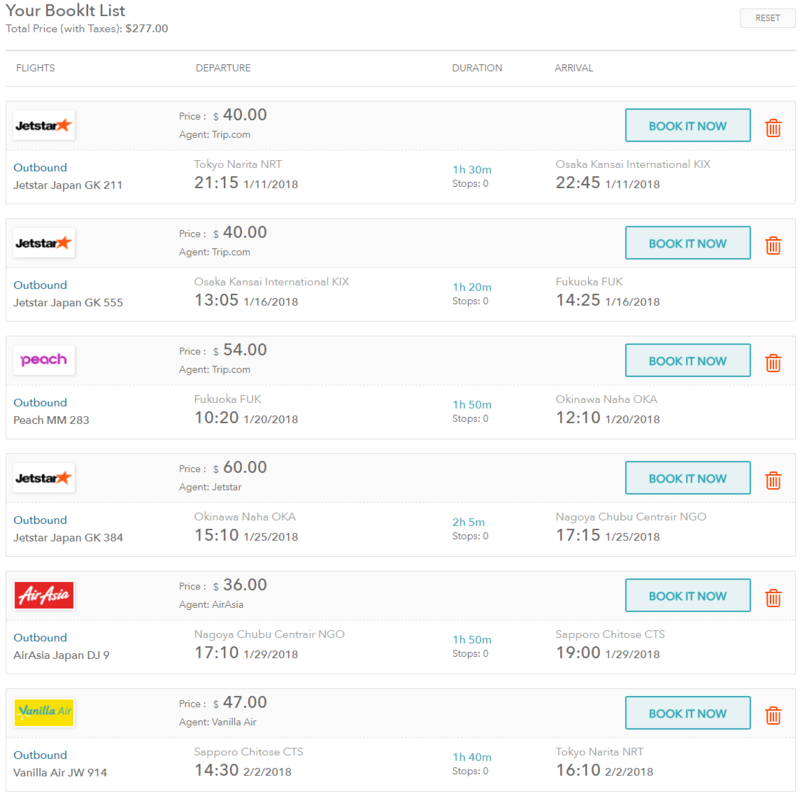 SkySurf.Travel provides a list sorted by cheapest destinations. If you want to see what’s the absolute cheapest flight possible to anywhere, SkySurf.Travel will show you. SkySurf.Travel displays the cheapest one-way flight tickets. At times, it can be a cheaper option to book two separate one-way tickets than a single round-trip flight ticket. You can view your entire flight path from the flight itineraries you’ve added to the ‘BookIt List’. Great for building your most cost-effective flight path to travel to multiple cities. But most important, SkySurf.Travel is specially designed for travelers with a limited budget to find the cheapest flights to anywhere. Try for yourself and see where your budget can take you. Perhaps a cheap flight to a lovely beach island, or the mountains? Wherever your dream destination may be, SkySurf.Travel can help you find great flight deals to many destinations around the world.